1. 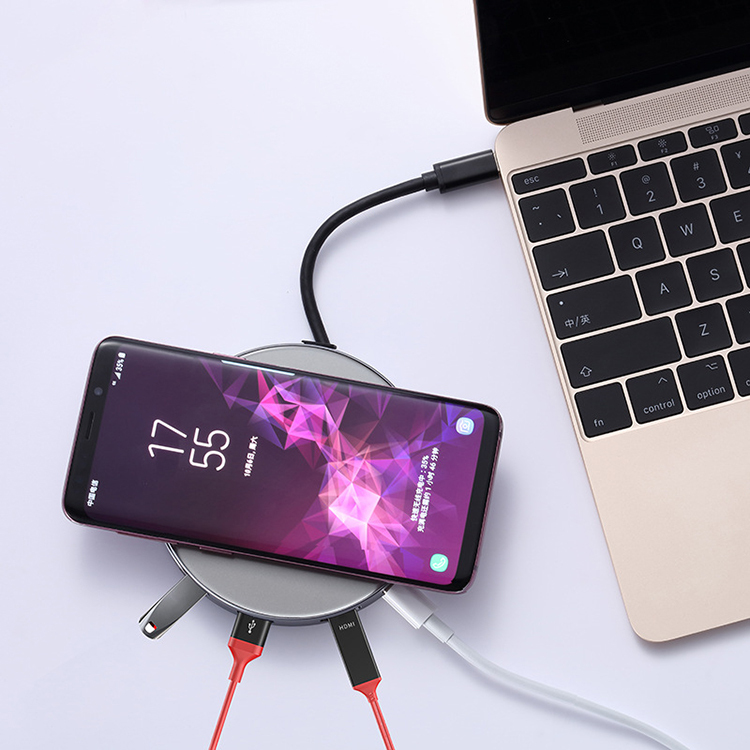 6 IN 1 MULTIFUNCTION USB C HUB: Multifunction of USB C to 4K HDMI Adapter, Dual USB 3.0 5Gbps Ports, 1x Type C Data Transfer& Charging Port and wireless charger, extremely extend the productivity of your phones and tablets. 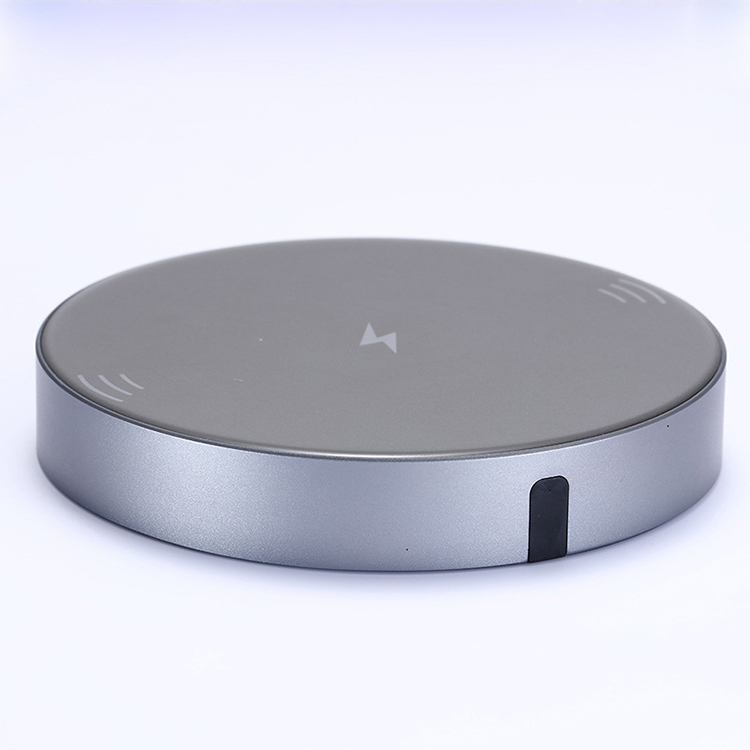 Round groove design with aluminum case. 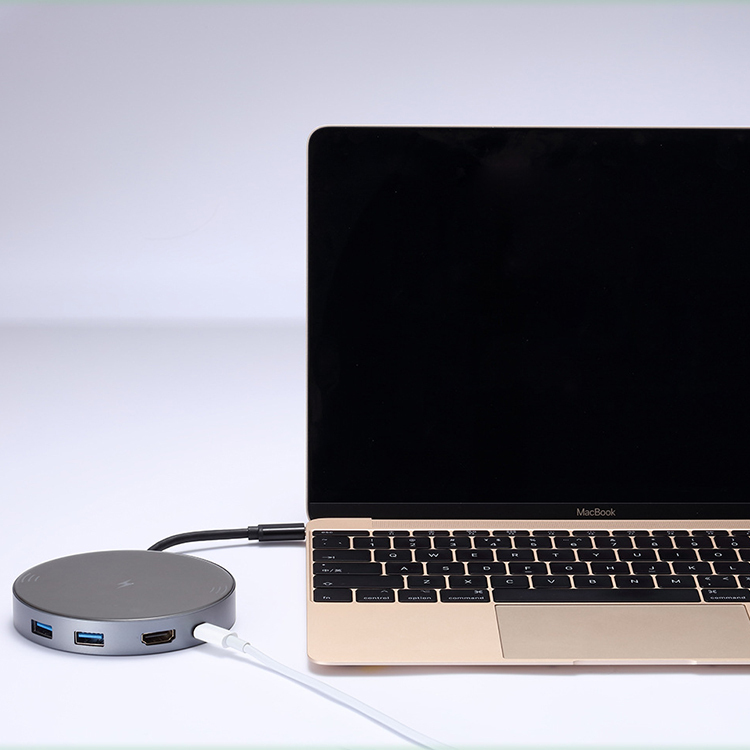 An ideal USB C expansion hub for Apple MacBook Pro, for Google Pixel, for ChromeBook, for Dell XPS, for Huawei Matebook. 2. 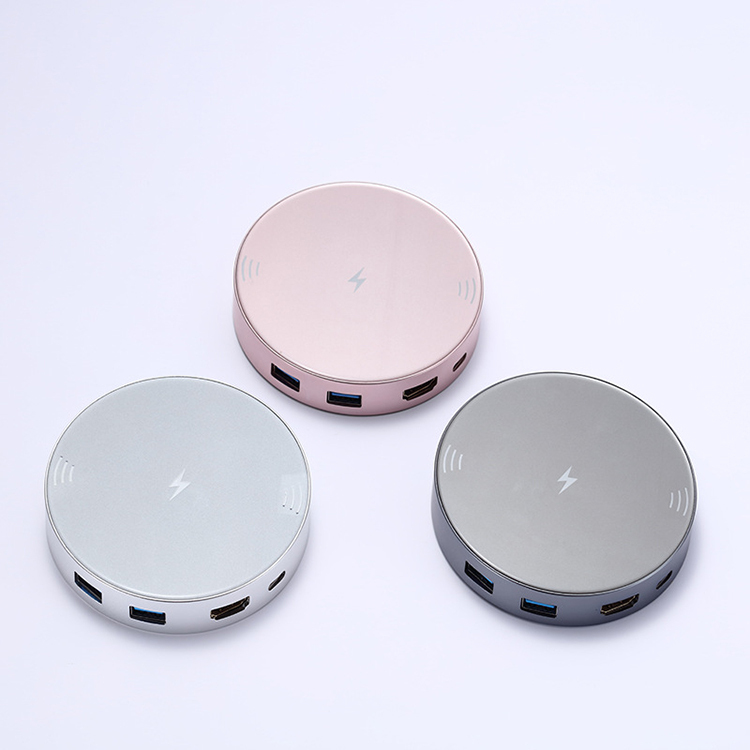 USB 3.0 FAST DATA TRANSFER: External Dual USB 3.0 ports help to transfer the data quickly and also allow you to connect with wireless or wired mouse, keyboard and USB flash drive to MacBook Pro or Windows Type-C laptop. You could upload and download photos, videos, music and other files quickly. No additional installation or software necessary. 3. 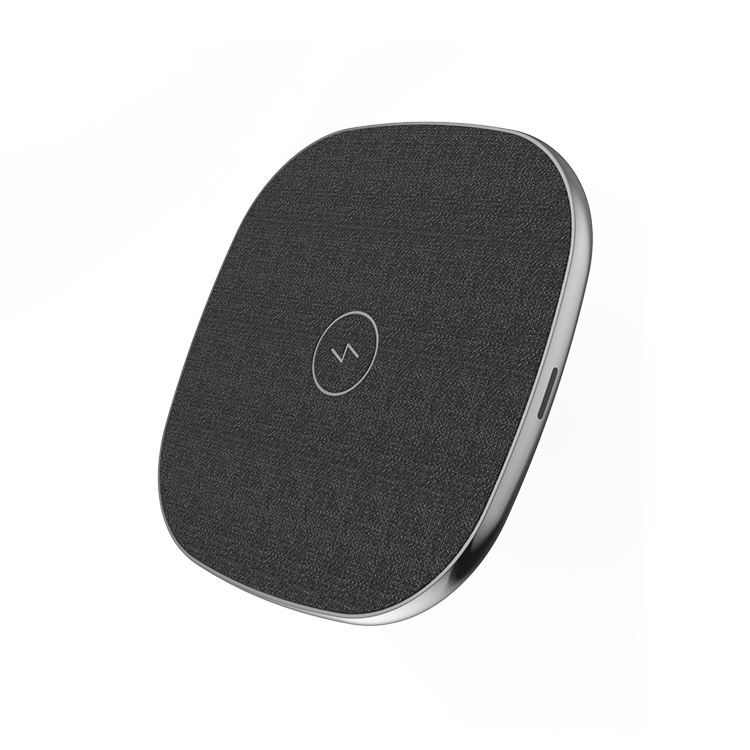 QI WIRELESS CHARGER AND TYPE C POWER DELIVERY: It is possible to transfer the data while charging you phone just put your phone on the hub directly. 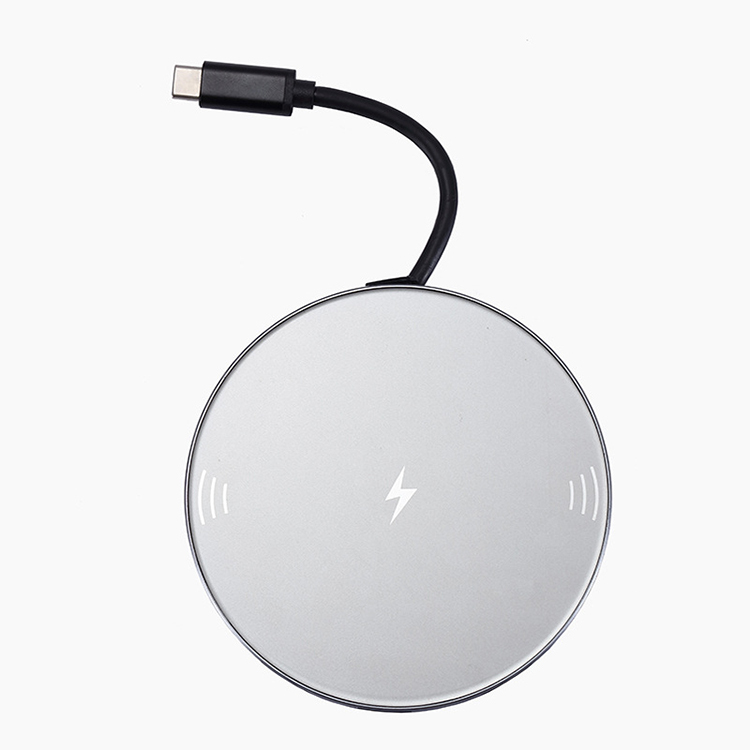 Wireless Charger Compatible for iPhone XS Max XR/8/8 Plus, for Samsung Galaxy S9/S9 Plus/Note 8/S8/S8 Plus and All Qi-Enabled Phones (No AC Adapter). 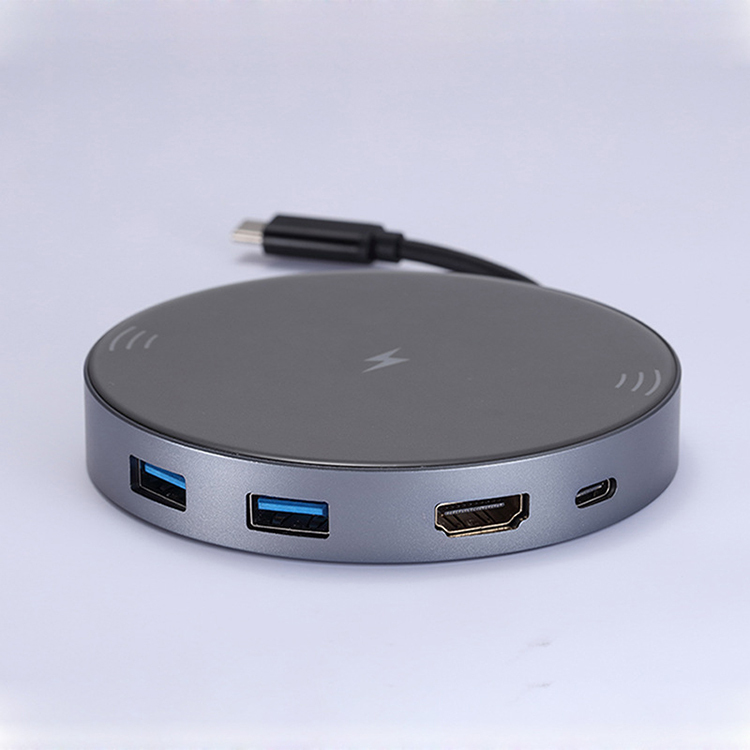 60W Type C power port can charge your laptops while support the data transmission at the same time. 4. NEW VIDEO EXPERIENCE ON HDMI ADAPTER: With the 4K video adapter you can mirror or extend your screen, and stream in 4K UHD or full HD 1080p video to HDTV, a monitor, or projector. After connecting your TV with HDMI adapter, it can give you most lifelike sports competition and movie. And you also can upload your file or video to projector when holding a meeting or enjoying the home theater. 5. SMART IC PROTECTION: Automatic stop working when there is danger of overcharging/over heating/shorting/over current/overvoltage. 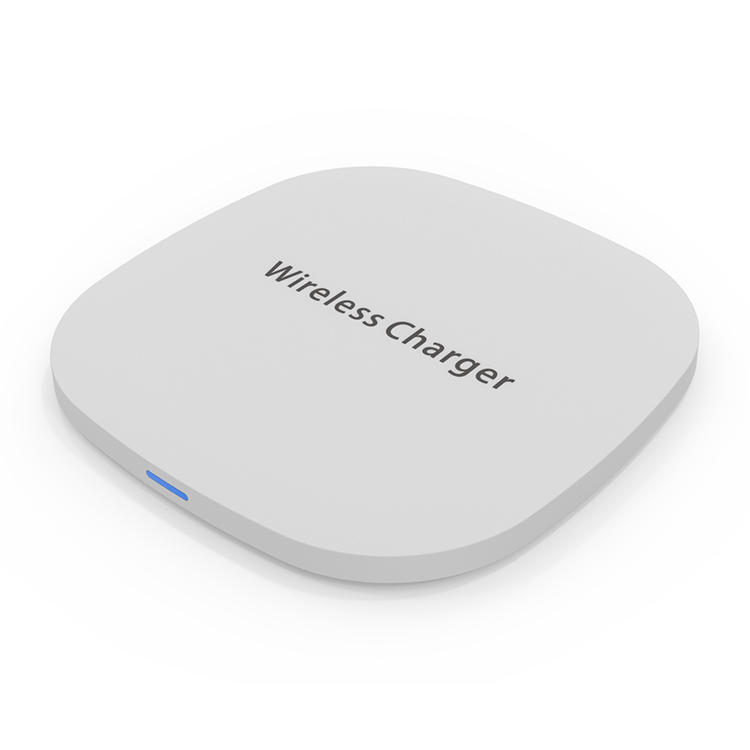 High performance integrated inductor filters out high-frequency electromagnetic, avoid any impact on your wifi and bluetooth.